Hold a tertiary qualification (diploma or degree equal to three years or more of full time post secondary study in a relevant discipline). Are still working in industry (at least part time). COMPARE WITH OTHER COLLEGES -By setting a higher benchmark for tutors than most other colleges, , we believe we are able to offer you a more reliable and valuable service. We endeavour to employ tutors who have distinguished themselves as leaders in their respective fields. Current tutorial staff include former presidents and secretaries from professional associations, managers and department heads from a variety of organisations, and successful owner operators of a wide variety of businesses. Tutors can explain services you might not be aware of; explaining how to access videos, our online library, how to make contact with other students, how to get your work published..... they can even help you get together or improve a C.V.
Support for students at ACS is exceptional in quantity and quality; and comes from exceptional professionals at the top of their industry. Mr Mason has had over 40 years experience in the fields of Horticulture, Recreation, Education and Journalism. He has extensive experience both as a public servant, and as a small business owner. He has held positions ranging from Director of Parks and Recreation (City of Essendon) to magazine editor. John is a well respected member of many professional associations, and author of over one hundred and fifty books and of over two thousand magazine articles. Even today, John continues to write books for various publishers including Simon and Shuster, and Landlinks Press (CSIRO Publishing). John founded ACS in 1979, and has built an international reputation as an author, educator and horticulturist. 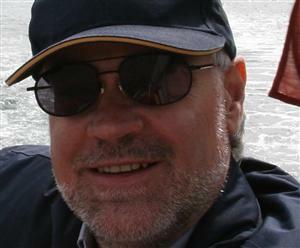 He has been honored with fellowships from three professional bodies (in both Australia and the UK), and continues to be actively involved with many others around the world. Over 8 years in horticulture and education in both Australia and Germany. Marie has been a co author of several ebooks in recent years, including "Roses", "Climbing Plants", "Hydroponic Nutrients" and "Root Vegetables". Gavin has over 18 years of industry experience in Psychology, Landscaping, Publishing /and Education. He was operations manager for a highly reputable British Landscape firm (The Chelsea Gardener) before starting up his own firm. He spent the best part of three years working in our Gold Coast office, partly as a writer for Your Backyard (gardening magazine), and partly as a tutor in both psychology and horticulture. Gavin is now based in the UK, working with ACS and pursuing studies toward a Masters Degree in Psychology. In addition to her RHS horticulture, garden design, City & Guild construction, NPTC pesticide/legislation and business/management qualifications, Diana has a variety of skills drawn from setting up Arbella Gardens, a landscape gardening business. She also has administrative, management and training delivery experience drawn from her employment in other organisations such as the NHS and other educational institutions such as schools & universities. She has augmented her training expertise having gained the Preparing to Teach in the Life Long Learning Sector qualification. She also has experience gained through working as a volunteer in a number of different roles including amenity style gardening in parks and practical conservation work. Rosemary Davies Dip Hort Sc. 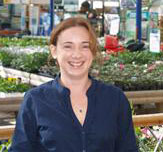 Originally from Melbourne, Rosemary trained in Horticultural Applied Science at Burnley, a campus of Melbourne University. Initially she worked with Agriculture Victoria as an extension officer, taught horticulture students, worked on radio with ABC radio (clocking up over 24 years as a presenter of garden talk back programs, initially the only woman presenter on gardening in Victoria) and she simultaneously developed a career as a writer. She then studied Education and Training, teaching TAFE apprentices and developing curriculum for TAFE, before taking up an offer as a full time columnist with the Herald and Weekly Times and its magazine department after a number of years as columnist with the Age. She has worked for a number of companies in writing and publications, PR community education and management and has led several tours to Europe. In 1999 Rosemary was BPW Bendigo Business Woman of the Year and is one of the founders and the Patron, of the Friends of the Bendigo Botanic gardens. She has completed her 6th book this year and is working on concepts for several others. Maria has extensive experience in Environmental Science working in the private and public sectors. She has 6 years of experience teaching graduate and post-graduate students subjects as Marine Pollution, Microbial Ecology, Geochemistry, Oceanography, Methods in Aquatic Science and Benthic Ecology. She has published over 20 scientific articles and book chapters. She has also coordinated an innovative project in bioenergy production using simple-cheap methods to isolate microbes in laboratory. She has collaborated with scientists of Climate Change Cluster Group from University of Technology Sydney and has current interests in areas such as: sustainability and clean energy. 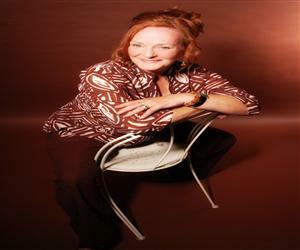 Adriana Fraser Cert.Hort., Cert.Child Care, Adv.Cert.App.Mgt., Adv.Dip.Hort. 20 years of experience in horticulture, business and journalism. Adriana has written regularly for a range of publications (including Australia's national Grass Roots Magazine) since the early 1980's.She operated a commercial display herb garden in her previous home, hosting visits regularly for all types of groups. She is developing a similar venture at her new property and continues to be actively involved in writing, tourism and practical gardening; in addition to her work for ACS. Denise Hodges Adv.Dip.Bus., Dip Clothing Design, Adv.Dip.Naturopathy (completing) formerly Promotions Manager ABC Retail, Fitness Programmer/Instructor, Small Business Owner, Marketing Coordinator (Laserpoint). After trying out a number of career directions Denise studied Marketing, and honed her skills by working in promotions for the ABC for 10 years. However, Naturopathy studies have allowed her to share and further indulge her real passion, which lies in health and wellness. Denise continues to enjoy learning and sharing her interests with others. 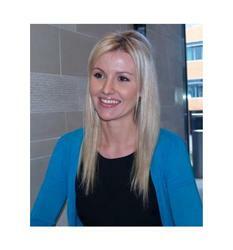 Josiane has eight years experience as an I.T professional in Lebanon and Australia. Extensive experience with computer hardware and engineering, CSC consultant with IBM, Software QA Engineer, Course Writer and Tutor. Karen Lee BSc. Hons (Biological Sciences), Postgraduate Diploma Nutrition and Dietetics Karen graduated with a first class degree in Biological Sciences from Lancaster University and subsequently completed a Postgraduate diploma in Nutrition and Dietetics from Leeds Metropolitan University. 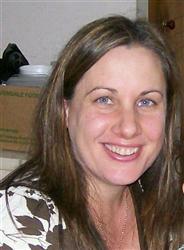 Karen is a registered dietitian with over 10 years of experience of working in the NHS. Karen has undertaken a number of research projects and has lectured to undergraduate university students. 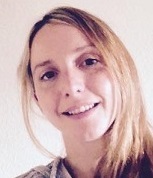 We are very pleased to welcome Jennifer to our team of Academics. Jennifer brings a wealth of knowledge to ACS. A Registered Nurse with 15 years experience to her name, Jennifer is also a registered Naturopath, specialising in Herbal Medicine. She is also a member of the Australian Traditional Medicine Society (ATMS). Jennifer has a special interest in children’s health. 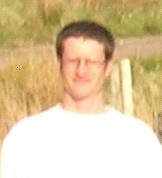 Kieran McCartney: MA Online and Distance Education, MSc Applied Sport and Exercise Sciences, PGCert Further and Higher Education, PGCert Professional Studies in Education, , BA (hons) Leisure Studies, Dip English Language, Dip Management, SFHEA, BASES. Kieran possesses over nineteen years experience working in a variety of managerial roles in the Sports, Fitness and Coaching, Hospitality, Retail, Health and IT industries. These roles have included, Health Club Manager; Team Manager; Business Manager; Health Promotion Manager; Active Lifestyle Development Officer; Sports Coach and Personal Trainer and Management Consultant. As part of his roles as a Lecturer and Consultant, working in Further Education and Higher Education, Kieran has been responsible for developing and encouraging methodologies that enhance the quality of teaching. He has developed modules for degree programmes as well as directed courses in Further and Higher Education. Kieran is a Senior Fellow at the Higher Education Academy and holds Professional Membership at The British Association of Sport and Exercise Sciences and is currently completing his doctorate in education. Dr Julia Mayo-Ramsay PhD (University of Tasmania), Graduate Certificate in Maritime Safety (AMC) LLM (Environmental Law ANU), GDLP (ANU), LLB (SCU), BL&JS (SCU), MAppSc (Hawkesbury), Graduate Diploma Agriculture (Hawkesbury), Certificate IV Training & Assessment, Certificate IV Frontline Management. Dr Julia Mayo-Ramsay is a practising environmental and agricultural lawyer. She holds a PhD in International Environmental Law, LLM, BLJS, GDLP, LLM (Environmental Law) and a Master of Applied Science (Agriculture). Lyn has 25 years of experience in the Fitness, Health and Leisure Industries. She has a string of qualifications that are far too long to list here; being qualified and registered to teach, coach or instruct a wide range of different sports and other skills. Lyn established and managed Health clubs at three major five star resorts on Queensland's Gold Coast, including the Marriot. She was a department head for a large government vocational college (TAFE), and has conducted her own aquafitness business for many years. Lyn has amongst her other commitments worked as a tutor for ACS for almost 10 years, and over that time, participated in the development or upgrading of most courses in her fields of expertise. Yvonne Sharpe RHS Cert.Hort, Dip.Hort, M.Hort, Cert.Ed., Dip.Mgt. 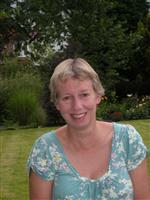 Over 30 years of experience in horticulture, education and management, Yvonne has travelled widely within and beyond Europe, and has worked in many areas of horticulture from garden centres to horticultural therapy. 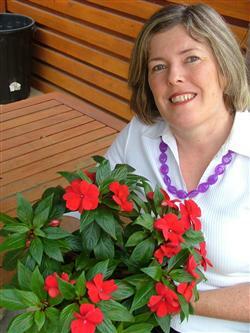 She has served on industry committees and been actively involved with amateur garden clubs for decades. Rachel has worked as a newspaper journalist for the past 15 years, in a range of roles from sub-editor and social columnist to news reporter, covering rounds such as education, health, council, music, television, court, police, Aboriginal and Islander affairs, and agriculture. Her current role is Fashion Editor, features writer and features sub-editor with The Gold Coast Bulletin. She has co-authored a successful biography Roma: From Prison to Paradise about former prisoner-of-war turned yoga guru, Roma Blair, as well as freelanced as a writer, reviewer and researcher for Australian music and celebrity magazines such as WHO Weekly, Rave, Australasian Post and New Idea. Rachel has tutored for ACS for the past 10 years. Timothy Walker B.A. (Botany), RHS.M. Hort., Post.Grad.Dip.Ed. Timothy is a Botanist, Horticulturist and Gardener. He is an Author, and also a lecturer at Somerville College, Oxford. After training at a number of gardens including Windsor Great Park and the Royal Botanic Gardens, Kew, Timothy commenced work at Oxford Botanic Gardens in 1986. Appointed as "Horti Praefectus" (Superintendent/Director) there in 1988, he held that position until 2014. Under Timothy's watch, the garden won four gold medals at the Chelsea Flower Show, and developed 67 acres of MG5 wild flower meadow at the Harcourt Arboretum; a UK threatened habitat. Timothy remains an active practical gardener as well as a highly respected international academic in the fields of horticulture and plant botany. Cheryl has worked for more than two decades in agriculture, education and equine industries, in England, Scotland, Australia and New Zealand. She is an accomplished writer, having contributed to several published books; an experienced educator, having managed the distance education courses for Warwickshire College; and a passionate animal scientist , having worked as a Sports Horse Stud Groom, Stable Manager, Yard Manager, and Equine industrial Training Manager. Kara gained an HND in Animal Care and graduated with a Bachelor’s of Science Degree in Applied Bioscience and Zoology. She has a wide range of experience working with animals such dogs, small pets, birds, zoo animals, British wildlife and reptiles. Kara gained this experience working within animal parks, canine rescue centres and a wildlife hospital. She also managed an animal care training facility for a college. At this training facility she instructed and lectured students within Animal Care and Veterinary Nursing from National Certificate level to Higher National Diploma levels. Kara also gained an HND in Photography and Imaging and has 5 years’ experience within this sector. She ran a small portraiture and wedding photography business and also exhibited work in art exhibitions. Kara gained more experience photographing sporting and festival events. Kara currently runs a pet care and training business in the UK and also has entry to undertake her MSc in International Animal Welfare, Ethics and Law this academic year. Having graduated with a First Class BSc (Hons) in Astrophysics and Mathematics, He has worked in the role of a design engineer for refrigeration systems for the past seven years. Alongside work commitments, he has been studying towards a Masters in Engineering, providing a path to becoming a chartered engineer. ACS has been running distance education courses since 1979; and has built a unique range of resources and services that you simply cannot get from other schools. We have learnt over the years that every student needs to be treated as an individual if they are to develop a unique set of attributes that sets them apart as an employee or business owner. Education simply does not work as well when you take short cuts -which is why our modules are each around 100 hrs (longer than many other schools). Study more, learn more, be more successful. We have seen a lot of changes in the world of education since we began teaching. Technology has obviously allowed things to be done that were not even imagined in the 1970's. Beyond that though; people today are living and working differently. Career and business opportunities are changing faster than ever, and to survive and thrive in today's world, requires an ability and preparedness to adapt and change yourself, constantly. Our courses acknowledge the way the world is changing; and are designed to provide a foundation that can enhance your adaptability, and be of ongoing value. Success is increasingly more about ability, and less about qualifications: BUT ABILITY IMPROVES WITH LEARNING -and that makes the value of studying a course, greater than ever before.